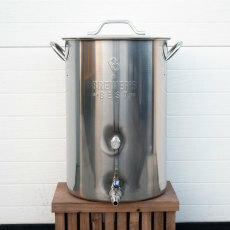 Coming in all shapes in sizes, brew pots are the quintessential brewing equipment in which water, malt and hops come together in perfect harmony. Brew kettles have a number of different applications. Whether used as a mash tun, boiling or heating up sparge water, you'll want to be equipped with the right tools for the job. 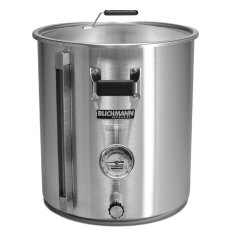 Whatever your needs, we have a range of pots, from small and economical kettles to the fully-outfitted wonders produced by Blichmann Engineering! 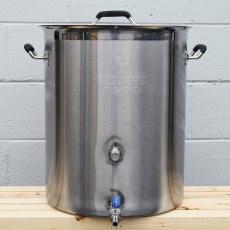 A large 16 gallon stainless steel brew pot, perfect for large batches! Graduated markings up to 14 gallons. 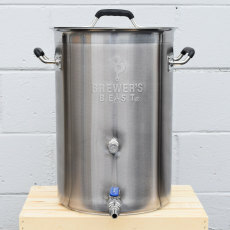 A quality 16 gallon brew kettle that is a great upgrade for your existing brewing setup OR a great starter kettle for larger batches. 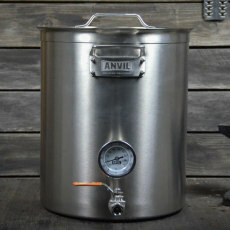 - The best brew kettle your money can buy! 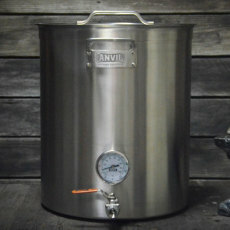 Anvil Brewing Equipment's 5.5 gal kettle is the ultimate stovetop brew kettle for 2.5 gal batches or 5 gal concentrated wort boils. 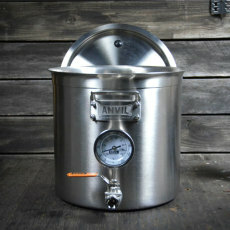 The Anvil Brewing Equipment 15 gallon kettle is perfect for doing full boils for 10 gallon batches of beer. 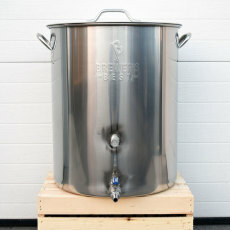 It can even be used as a hot liquor tank or mash tun! 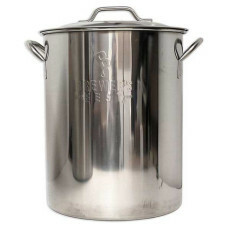 - Stainless steel construction at an economical price!